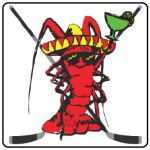 Rockin’ Baja Lobster supports the San Diego Gulls during the 2018-19 AHL Hockey Season! We’re very proud to support & sponsor The San Diego Gulls with special offers and a Concession stand at the Arena. We’re nearby, Old Town is about a mile away from the Pechanga Arena San Diego so we do not miss any of the action. The San Diego Gulls and Rockin’ Baja Lobster have partnered to bring you the best taco night in town! Get two Chicken or Carne Asada street tacos for just $5, at the Valley View Casino Center during all Gulls Wednesday home games in the 2018-19 Season! Rockin’ Baja Lobster offers 15% off the entire bill when you flash your San Diego Gulls ticket. Valid before or after any Home game! 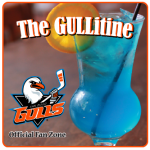 We welcome all of the San Diego Gulls Fans – Who are completely Awesome! Want to stay updated on all of our Hockey Events?